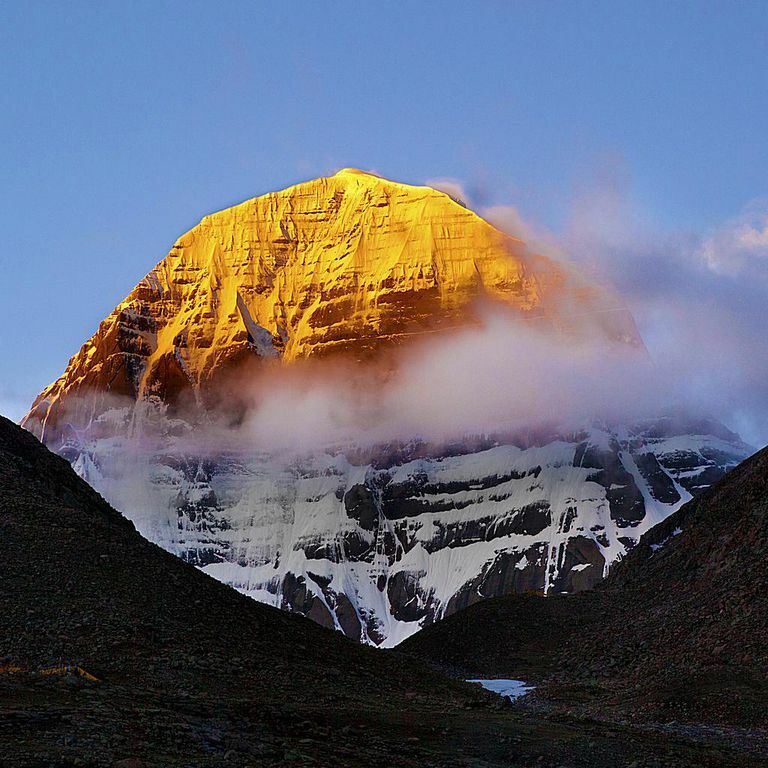 Mount Kailash -- sacred to practitioners of Kashmir Shaivism -- at sunrise. In Taoism & Tantra, I offered paradigms articulated within esoteric practices of Buddhism and Hinduism to explore the role of flow & continuity within Taoist practice. 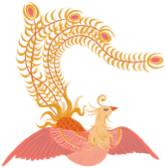 As a continuation of those explorations, here I’d like to introduce the notion of “Tanmatras” -- which structures, in a foundational way, the theory and practice of Kashmir Shaivism, and which also translates easily, and with great benefit, to Taoist practice. According to the Taoist Five Element System, the entire universe is contained within the five elements. In other words, all aspects of phenomenal experience -- perceptions, sensations, cognitions -- can be described in relation to the five elements. Because the five elements are understood to be mutually dependent, i.e. to support and control one another continuously, we can come to understand and experience every aspect of our human bodymind existence to be in mutual dependence -- to be part of a web of continuity -- with the entire manifest universe. Serving a similar function, within Kashmir Shaivism, to the function served within Taoism by the Five Elements, are the Five Tanmatras. Like the Five Elements, the Five Tanmatras are considered to be the “substance” or “qualities” of which the entire universe is comprised. Each Tanmatra is associated with a specific element (slightly different elements than those used in Taoism), though represents a more subtle non-material aspect of it. In the same way that Taoist Cosmology tells a “creation story” which applies both to the level of (1) how, in the beginning, something emerged from nothing (as a single space-time “big bang” event); as well as to the level of (2) how, moment by moment, forms emerge and transform -- so it is with the Tanmatras, considered as the most basic “substance” in the process of creation. So for instance, the most subtle of the five elements of Kashmir Shaivism is akasha (space). When prana (i.e. qi) acts upon akasha (so the story goes) this gives rise to the other four elements. Each element, with its corresponding Tanmatra, embodies a particular quality/vibration, and together, in varying proportions, support all of manifest existence. This cosmological creation-story is, as you can see, parallel in deep ways to the role of the Five Elements within Taoist cosmology. Where it differs from the Taoist system is in its emphasis upon and more detailed articulation of the process of perception: how sense organs relate to sense objects, in order to generate the appearance of a world. The basic idea is that the five sense organs (eyes, ears, nose, tongue, skin) and their respective sense objects (visible objects, auditory objects, etc.) have in common an element/Tanmatra. So, for instance, both the eyes and every visible object are said to be comprised of the fire element and its associated Tanmatra. This shared-element way of understanding offers a means by which (dualistically conceived) sense organs are able to contact and communicate with the “external objects” they are perceiving. For without a shared substratum, how would perception -- involving contact between two distinct entities -- be possible? The Tanmatras as a more subtle aspect of the elements offer also a portal into a understanding of nondual perception: an awakening to a deeper truth of the mutual arising of sense-organ and sense-object, within a field that is the true source of perception, and not dependent upon physical sense organs. Let’s explore this aspect of the Tanmatras in a bit more detail. The Tanmatras are sometimes described, in relation to the perceptual process, as being something like subtle pools of energy (though an “energy” more subtle than that described by western scientists) existing behind (in the sense of ontologically prior) to the sense organs. The physical sense organs rely for their dualistic functioning upon the Tanmatras, but the Tanmatras are not themselves dependent upon the sense organs. Rather, the Tanmatras are capable of direct, nondual perception, at the level of the mind/subtle-body (i.e. at the prana/citta interface). In their capacity for direct nondual perception, the Tanmatras are similar to what in Tibetan Buddhism are known as the sense faculties, which support yogic direct perception. The ability to Become the Object of the universe is attained in stages. First, during the practice of Concentration, you gain the ability to focus your attention by pulling your mind back again and again to the object each time it wanders. Then, during the practice of Meditation, you continue to perfect your ability to focus your attention on one object until only the wave-image of that object repeatedly flows through your mind. Next, your Consciousness begins to transcend the mind and senses as It expands into Samadhi, which begins with the gross physical level of one form filling your mind, and ends with your Consciousness becoming one with the sum total of the conscious energy which composes the Unified Field of the Universe. his is an intellectual explanation of the ascent of Consciousness through matter to Its most rarefied third dimensional state, at the very edge of the third dimensional universe of space, time and matter. Bringing it back around to the Tanmatras, as portals to nondual perception not dependent upon physical sense-organs: What might this actually look like, and what does it have to do with Taoist practice? Via my own (still very limited) explorations of this territory, what I can say is that there’s a shift that can happen, from identifying with the physical sense-organs, to somehow perceiving/cognizing the sense-organs and sense-objects to belong equally to the “objects of perception” category, with the “subject” of perception being a field which encompasses them both. As this happens, perception/cognition begins to manifest with a very fluid and soft, while at the same time vividly dynamic, quality (bringing it back around to the flow and continuity of tantra). It also becomes possible, in moments of deeply awake relaxation, to perceive independently of the physical sense organs. For instance: “seeing” the time on a clock -- with all visual detail -- while the physical eyes are closed; and then verifying that “vision” by opening the eyes, and checking the clock-time via dualistic perception. I could be wrong, but I take experiences such as these to be instances of a conscious functioning of the Tanmatras, in relation to the perceptual process -- and as profound (and really interesting!) challenges to some of our most deeply-held dualistic and materialist assumptions. ”Seeing through the eyes of Tao” is a phrase which typically points to an intuitive knowing, based in the emptiness/openness of a transparent relationship to the various contextual webs within which our human bodymind appears. But it could also refer to various modes of nondual perceiving -- in a more literal sense of “perceiving” -- at the level of the mind/subtle-body, which become activated as our practice deepens, that are more-or-less equivalent to the functioning of the Tanmatras.